Hi everyone! 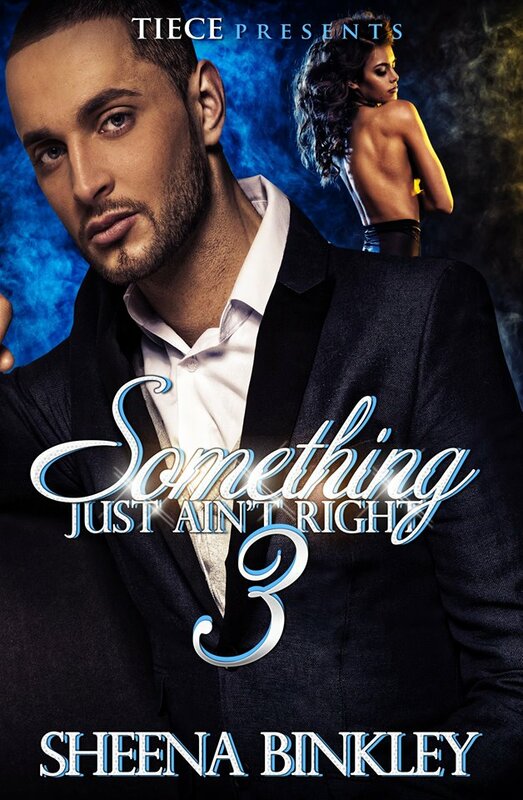 With the second day of the countdown to my anniversary celebration, I’m sharing a excerpt from Something Just Ain’t Right 3, which will be released soon! The final book of the series will answer many of the questions that you all are probably wondering about who is the real mastermind behind destroying Hayley and Morgan as well as other twists and turns involving Morgan’s dad, the affair he had with Kyle’s mother, and the issues with Morgan’s mom. But of course, even after Hayley and Morgan endure a lot in their relationship, they will have the HEA that they rightfully deserve, with an extra surprise. From the first moment I laid eyes on Hayley Stevens, I knew she was going to be someone special. She instantly drew me in from her captivating brown eyes to her beautiful curls. I knew she was going to be the one. I knew I wanted to spend the rest of my life with her, have lots of kids, and grow old with her. Even though I couldn’t be with her at first, I knew eventually we would; that’s why I changed my ways for her. Now, as I stared at her laying on the hospital bed, I had to wonder if she would wake up. I should be optimistic, but it has been almost two weeks since she has been in a coma. She had moved her hand a few times, but her doctor mentioned that was common for coma patients. She looked as if she was sleeping as the monitor beside her was going at a steady pace. That meant things were okay. If everything was normal, then Hales would had woke up. I slightly touched her shoulder, hoping she would feel my touch. After what happened that day of the shooting, I completely shut myself down from everything and everyone. I felt as if I had failed her by not being able to protect her. This was my damn fault that she’s laying in a hospital bed. If she hadn’t gotten involved with me, then she would have been sitting in her dorm room at Thompson instead of fighting for her life. The door opened, causing me to turn around. Lamar stood behind me and sighed. “I said I’m fine.” I replied in a hostile tone. I got up and bend down to kiss Hayley on the forehead. Lamar’s right; Hayley wouldn’t want me hovering over her; instead, she would want me to have my normal routine. And I did need to take a shower. I sighed and grabbed my coat and duffle bag. Lamar handed me his car keys and I went to the door. I know I will come back as soon as I get myself together. But I needed to visit my mom. Hopefully there weren’t any more bystanders lurking around, because once I know Hales will be okay, I want to go back to my normal life. Once I arrived to the house, instead of going to the guest house, I went to the main one to shower. I knew Uncle Rick would be at work, so I would be alone. As soon as I opened the door, I quickly went to defense mode when I saw someone coming from the hallway. I was about to knock the person out when I realized it was my mom. I went to her and gave her a hug. She wrapped her arms around me and sighed. I closed my eyes, knowing it wasn’t my mom’s fault for what happened. She was just with the wrong man. My mom stared at me as I went upstairs. I closed the door to the guest room, wondering how much more is my mom not telling me. I know I shouldn’t think like that, but she withheld a lot of information from me regarding Caroline. This only made me think if I should trust my mom again. After taking a long shower, I was getting dressed, wondering how Hayley was doing. I’m still not going back on my word about destroying anyone else who will come in my path. Whether Hayley survives, I had to do something I knew I would regret later, but I needed to do it for her sake. There was one thing that I was concerned about and that was if anyone exposed me for killing Craig. I wondered would my past catch up with me and I’ll be going to prison like my so-called family. I tried not to think about it as put on my shoes. My phone started to ring, which made me become fully alert. I went to it and saw that it was Lamar. For some reason, I knew this was the phone call I was waiting on.